The Talenthouse mobile application was in the talks in the fall of 2013. 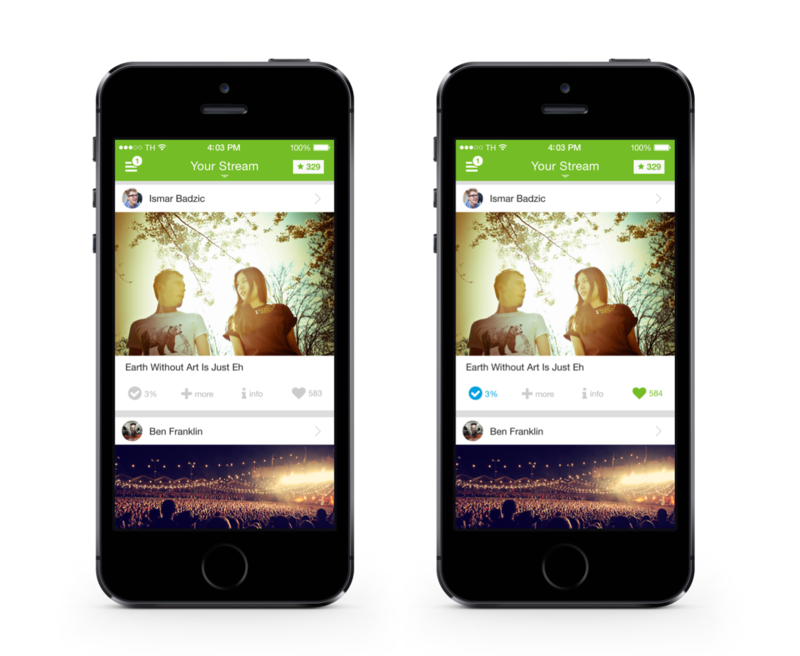 Here’s the concept and mock-ups of the app’s the first version aimed at a community that shares creative content. Development went on hold, unfortunately. The artist I featured here is Ismar Badzic, see his profile on Talenthouse here. 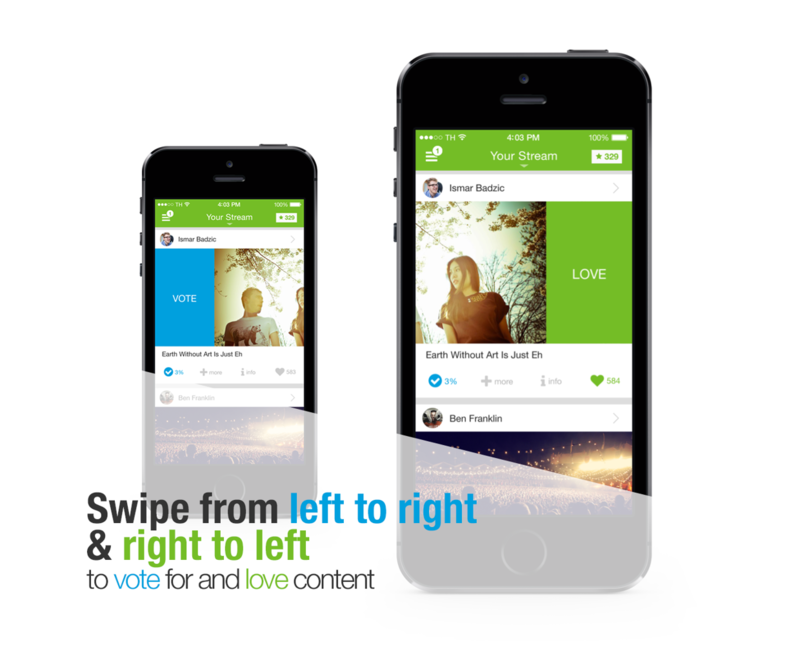 Key user interactions on talenthouse.com are voting for and loving content. The challenge was to make these actions easily accessible and not too hidden. 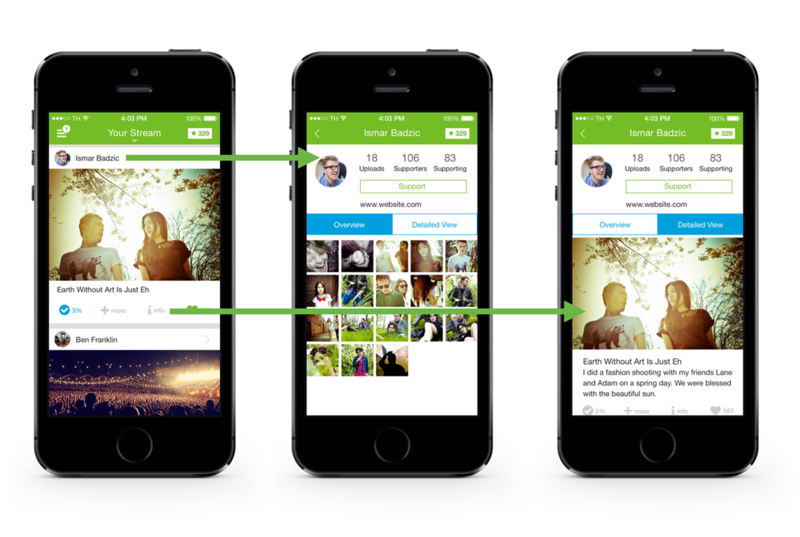 So, I was conceptualizing two ways to do these actions: either swipe or tap on the icons in a traditional way. Different views to explore content fast and/or in greater detail with descriptions from the artist. All in all, these were first explorations and very similar to other very popular mobile apps that also center around visual content (Instragram, Tumblr). Unfortunately, there was not enough time for exploring new and unique ways of interacting. Nevertheless this first concept would have had the advantage for the user to get familiar very easily and fast, because of experiences with apps that have similar media.